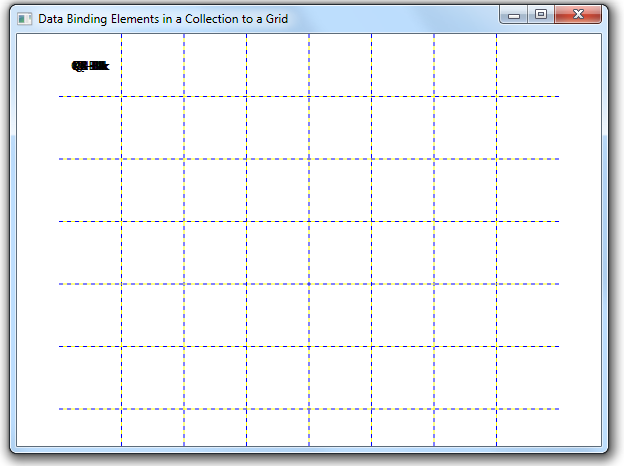 We’ve done part of the work required in order to bind a collection of elements to a Grid, with each object’s Row and Column properties indicating where in the Grid it should be located. At this point, the binding doesn’t work as expected. Each element does get inserted into the grid, but every element is added to Row 0 and Column 0. The Grid.Row and Grid.Column attached properties are being ignored.